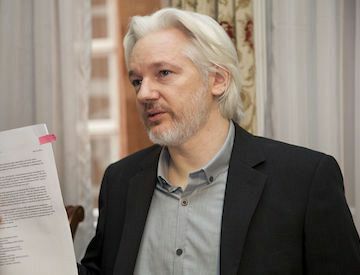 As Julian Assange enjoys “victory and vindication” following the closure of the Swedish prosecutors’ investigation, both he and his supporters know the fight is far from over. 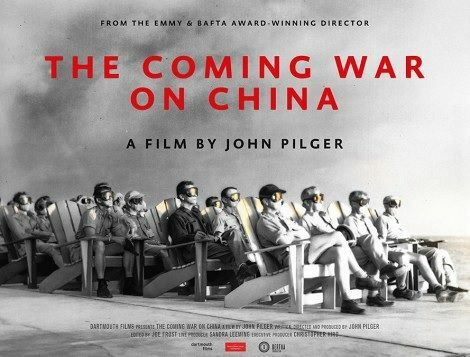 Australia risks sleepwalking into a deadly confrontation with China, writes John Pilger. On 26 January, one of the saddest days in human history will be celebrated in Australia. It will be “a day for families,” say the newspapers owned by Rupert Murdoch. Flags will be dispensed at street corners and displayed on funny hats. People will say incessantly how proud they are. 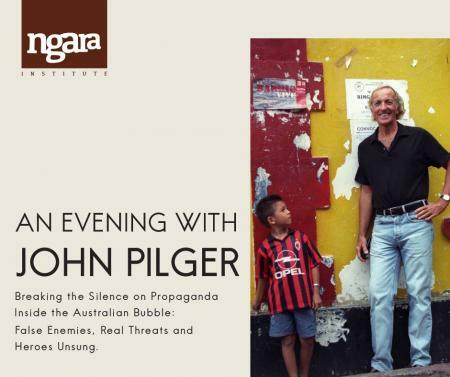 This is an updated version of John Pilger’s 2014 investigation which tells the unreported story of an unrelenting campaign, in Sweden and the US, to deny Julian Assange justice and silence WikiLeaks. An historic betrayal has consumed Greece. Having set aside the mandate of the Greek electorate, the Syriza government has willfully ignored last week’s landslide “No” vote and secretly agreed a raft of repressive, impoverishing measures in return for a “bailout” that means sinister foreign control and a warning to the world. 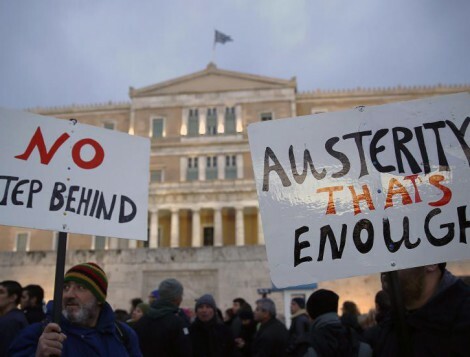 “Anti-austerity party sweeps to stunning victory”, declared a Guardian headline on January 25. “Radical leftists” the paper called Tsipras and his impressively-educated comrades. They wore open neck shirts, and the finance minister rode a motorbike and was described as a “rock star of economics”. It was a façade. They were not radical in any sense of that cliched label, neither were they “anti austerity”. For six months Tsipras and the recently discarded finance minister, Yanis Varoufakis, shuttled between Athens and Brussels, Berlin and the other centres of European money power. Instead of social justice for Greece, they achieved a new indebtedness, a deeper impoverishment that would merely replace a systemic rottenness based on the theft of tax revenue by the Greek super-wealthy – in accordance with European “neo-liberal” values – and cheap, highly profitable loans from those now seeking Greece’s scalp. Greece’s debt, reports an audit by the Greek parliament, “is illegal, illegitimate and odious”. Proportionally, it is less than 30 per cent that of the debit of Germany, its major creditor. It is less than the debt of European banks whose “bailout” in 2007-8 was barely controversial and unpunished. For a small country such as Greece, the euro is a colonial currency: a tether to a capitalist ideology so extreme that even the Pope pronounces it “intolerable” and “the dung of the devil”. The euro is to Greece what the US dollar is to remote territories in the Pacific, whose poverty and servility is guaranteed by their dependency. In their travels to the court of the mighty in Brussels and Berlin, Tsipras and Varoufakis presented themselves neither as radicals nor “leftists” nor even honest social democrats, but as two slightly upstart supplicants in their pleas and demands. Without underestimating the hostility they faced, it is fair to say they displayed no political courage. More than once, the Greek people found out about their “secret austerity plans” in leaks to the media: such as a 30 June letter published in the Financial Times, in which Tsipras promised the heads of the EU, the European Central Bank and the IMF to accept their basic, most vicious demands – which he has now accepted. When the Greek electorate voted “no” on 5 July to this very kind of rotten deal, Tsipras said, “Come Monday and the Greek government will be at the negotiating table after the referendum with better terms for the Greek people”. Greeks had not voted for “better terms”. They had voted for justice and for sovereignty, as they had done on January 25. The day after the January election a truly democratic and, yes, radical government would have stopped every euro leaving the country, repudiated the “illegal and odious” debt – as Argentina did successfully – and expedited a plan to leave the crippling Eurozone. But there was no plan. There was only a willingness to be “at the table” seeking “better terms”. The true nature of Syriza has been seldom examined and explained. To the foreign media it is no more than “leftist” or “far left” or “hardline” – the usual misleading spray. Some of Syriza’s international supporters have reached, at times, levels of cheer leading reminiscent of the rise of Barack Obama. Few have asked: Who are these “radicals”? What do they believe in? Varoufakis omits all mention of the Social Democratic Party that split the Labour vote and led to Blairism. In suggesting people in Britain “scorned socialist change” – when they were given no real opportunity to bring about that change – he echoes Blair. The leaders of Syriza are revolutionaries of a kind – but their revolution is the perverse, familiar appropriation of social democratic and parliamentary movements by liberals groomed to comply with neo-liberal drivel and a social engineering whose authentic face is that of Wolfgang Schauble, Germany’s finance minister, an imperial thug. Like the Labour Party in Britain and its equivalents among former social democratic parties such as the Labor Party in Australia, still describing themselves as “liberal” or even “left”, Syriza is the product of an affluent, highly privileged, educated middle class, “schooled in postmodernism”, as Alex Lantier wrote. For them, class is the unmentionable, let alone an enduring struggle, regardless of the reality of the lives of most human beings. Syriza’s luminaries are well-groomed; they lead not the resistance that ordinary people crave, as the Greek electorate has so bravely demonstrated, but “better terms” of a venal status quo that corrals and punishes the poor. When merged with “identity politics” and its insidious distractions, the consequence is not resistance, but subservience. “Mainstream” political life in Britain exemplifies this. This is not inevitable, a done deal, if we wake up from the long, postmodern coma and reject the myths and deceptions of those who claim to represent us, and fight. Let’s Celebrate Real Australian Heroes Like The One We’ve Just Lost | newmatilda.com. The great game of dominance offers no immunity for even the most loyal U.S. “ally”. This is demonstrated by perhaps the least known of Washington’s coups — in Australia. The story of this forgotten coup is a salutary lesson for those governments that believe a “Ukraine” or a “Chile” could never happen to them. Australia’s deference to the United States makes Britain, by comparison, seem a renegade. Although not regarded as of the left, Whitlam ‒ now in his 98th year ‒ was a maverick social democrat of principle, pride, propriety and extraordinary political imagination. He believed that a foreign power should not control his country’s resources and dictate its economic and foreign policies. He proposed to “buy back the farm” and speak as a voice independent of London and Washington. On the day after his election, Whitlam ordered that his staff should not be “vetted or harassed” by the Australian security organisation, ASIO — then, as now, beholden to Anglo-American intelligence. Whitlam demanded to know if and why the CIA was running a spy base at Pine Gap near Alice Springs — ostensibly a joint Australian/U.S. “facility”. Whitlam clearly knew the personal risk he was taking, as the minutes of a meeting with the U.S. ambassador demonstrate. “Try to screw us or bounce us,” he warned, “[and Pine Gap] will become a matter of contention“. Green was an imperious, very senior and sinister figure in the State Department who worked in the shadows of America’s “deep state”. Known as the “coupmaster”, he had played a central role in the 1965 coup against President Sukarno in Indonesia, which cost up to a million lives. Pine Gap’s top-secret messages were de-coded in California by a CIA contractor, TRW. One of the de-coders was a young Christopher Boyce, an idealist who, troubled by the “deception and betrayal of an ally”, became a whistleblower. 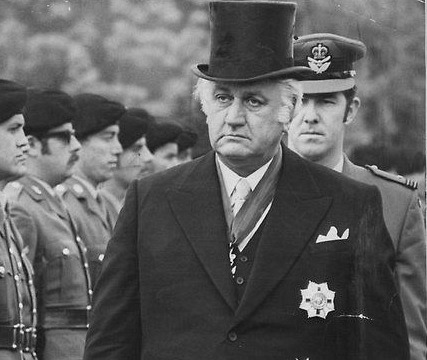 Boyce revealed that the CIA had infiltrated the Australian political and trade union elite and referred to the Governor-General of Australia, Sir John Kerr, as “our man Kerr”. In his black top hat and medal-laden morning suit, Kerr was the embodiment of imperium. He was the Queen of England’s Australian viceroy in a country that still recognised her as head of state. His duties were ceremonial; yet Whitlam ‒ who appointed him ‒ was unaware of or chose to ignore Kerr’s long-standing ties to Anglo-American intelligence. ‘… an elite, invitation-only group … exposed in Congress as being founded, funded and generally run by the CIA …. In 1975, Whitlam discovered that Britain’s MI6 had long been operating against his Government. In interviews in the 1980s with the American investigative journalist Joseph Trento, executive officers of the CIA disclosed that the “Whitlam problem” had been discussed “with urgency” by the CIA’s director, William Colby, and the head of MI6, Sir Maurice Oldfield, and that “arrangements” were made. On 10 November, 1975, Whitlam was shown a top secret telex message sent by ASIO in Washington. This was later sourced to Theodore Shackley, head of the CIA’s East Asia Division and one of the most notorious figures spawned by the Agency. Shackley had been head of the CIA’s Miami-based operation to assassinate Fidel Castro and Station Chief in Laos and Vietnam. He had recently worked on the “Allende problem”. Shackley’s message was read to Whitlam. Incredibly, it said that the prime minister of Australia was a security risk in his own country. The day before, Kerr had visited the headquarters of the Defence Signals Directorate, Australia’s NSA, whose ties to Washington were ‒ and reman ‒ binding. He was briefed on the “security crisis”. He had then asked for a secure line and spent 20 minutes in hushed conversation. On 11 November ‒ the day Whitlam was to inform Parliament about the secret CIA presence in Australia ‒ he was summoned by Kerr. Invoking archaic vice-regal “reserve powers”, Kerr sacked the democratically elected prime minister.